Menninger is a leading psychiatric hospital dedicated to treating individuals with mood, personality, anxiety and addictive disorders, teaching mental health professionals and advancing mental healthcare through research. It was located in Topeka, Kansas, from 1925 to 2003 and is now in Houston, Texas. One research project about genetics used quail as subjects. See also item #223751 in Kansas Memory. 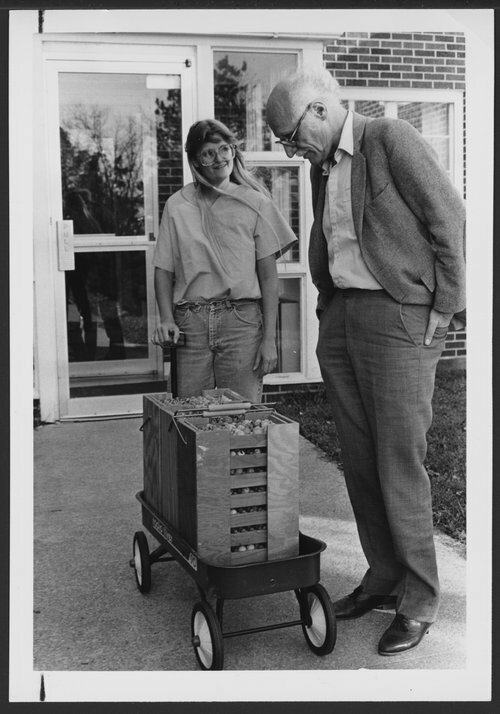 Quail project genetic research at Menninger in Topeka, Kansas - Joseph Kovach, Principal Investigator, and Jeanne Mavis, research assistant, with a wagon load of quail eggs.